Rogue produce delivers! We’ve got another new Rogue CSA Share on the list this week, “The Smoothie Share!” It joins “The Keto Share” as one of the latest new additions to our Online Farmers Market. Order now, or check out the previews below of each of the 4 unique Rogue CSA Shares available this week. We highlight all of the incredible seasonal produce available from your favorite local farms and producers. 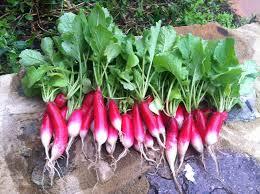 Fresh French Breakfast Radishes from Matt at Happy Dirt Veggie Patch! The local seasonal favorites in this share include purple sprouted broccoli from Wandering Roots Farm, French breakfast radishes from Happy Dirt Veggie Patch, raw beet crackers from Higher Power Raw Foods, and “Buncom in Bloom” brie cheese from By George. You can make a salad with the delicious head of red butter lettuce, and there are opportunities galore with the Japanese sweet potatoes, large hass avocados, Crimini mushrooms, green onions, and the sweet and sour ruby red grapefruit! Yummy brie cheese from By George Farm! 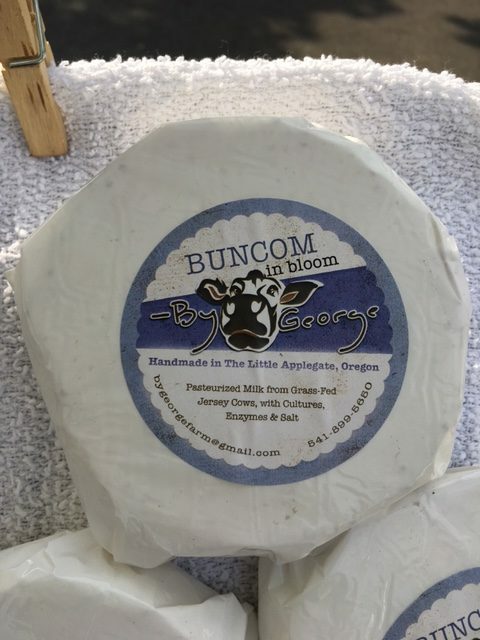 This share starts out with the yummy goodness of a fresh baguette from La Baguette, in Ashland, a jar of Tayberry jam from Pennington Farms, and a round of Buncom brie cheese from By George! We include the purple sprouted broccoli and the large leaf spinach (this is amazing) from Wandering Roots, large hass avocados, red butter lettuce, and a package of incredible wet teriyaki beef jerky from Dauenhauer Cattle, in Ashland. Rogue Pro now has Keto! This is the second week now that we’ve offered the Keto Share, and its debut was well received! This week, enjoy the famous breakfast sausage from Riverdog Farm, the purple sprouted broccoli and spinach from Wandering Roots, and fresh green garlic from Matt at Happy Dirt Veggie Patch, in Medford. 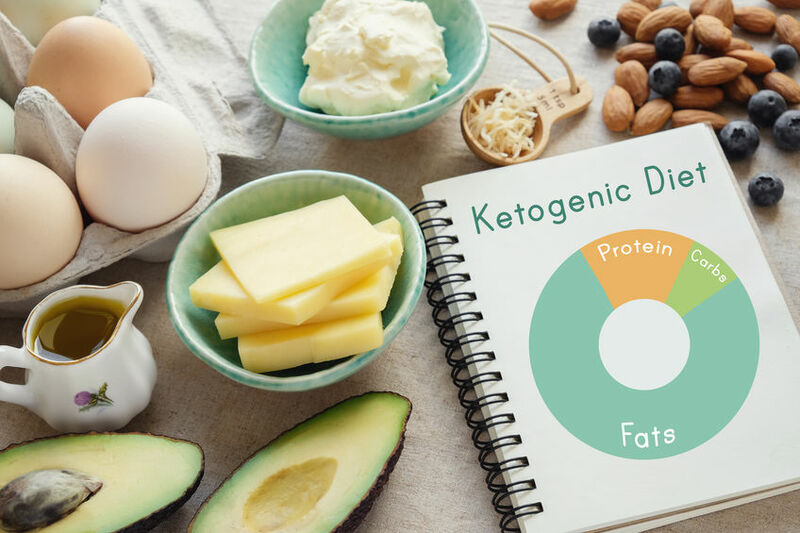 The Keto also includes large hass avocados, free range eggs from Harris Family Farm in Central Point, and the delicious soft Buncom brie cheese from By George. Spring is here, so we’re offering a new Rogue CSA Share to highlight the amazing smoothie and super food products from Bright Earth Foods, in Ashland. This Share includes new 8 oz. packages of the Rainbow Super Food Smoothie Mix and Vanilla Protein Powder; and 2 lbs. of the frozen mixed berry medley from Pennington Farm. These ingredients are really all you need to make some amazingly nutritious and delicious smoothie recipes. It’s time for a Spring cleanse! Place your order by 5pm on Monday, April 15th (easy date to remember), and Rogue Produce delivers to your door on Friday, April 19th. We deliver from Ashland to Grants Pass, and from Jacksonville to Shady Cove – and everywhere in between (and slightly beyond)! You can pay for a single order, or sign-up for one of the various plans we have available. Thank you for supporting Rogue Produce and all of our local partners!